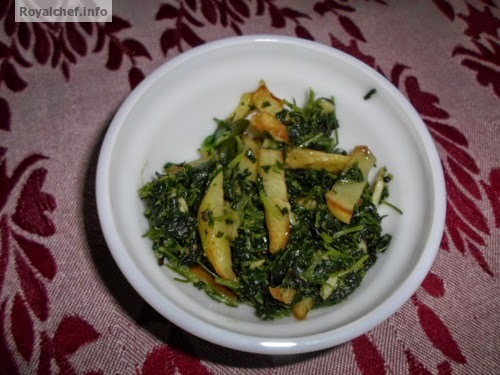 This is a Recipe for Methi with Potato French Fries (Fenugreek-Potato Vegetable preparation). 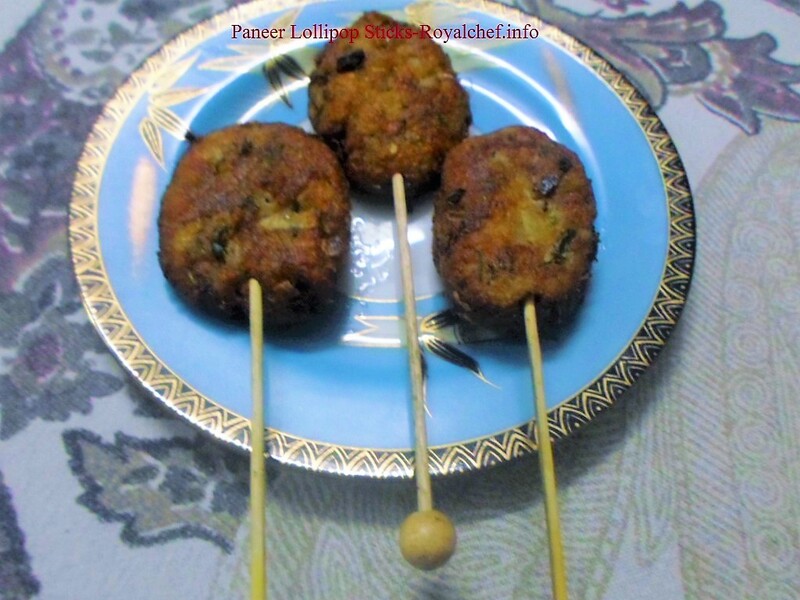 This vegetable dish has been prepared in the Maharashtrian style of cooking. Heat the Ghee in a Kadhai and deep fry the French Fries till color change in to brown. Remove the French Fries from the Kadhai and keep them aside. 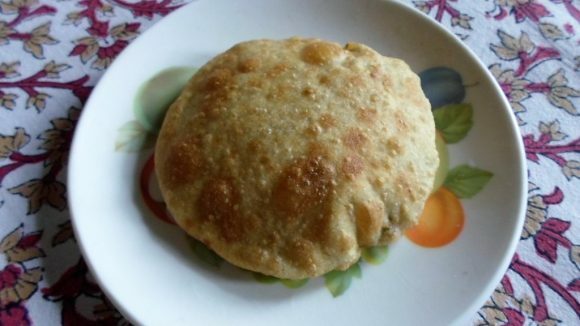 Then in the same Kadhai add the Mustard Seeds, Cumin Seeds, Asafoetida, crushed Garlic and Green Chilies and fry for 30 seconds and add chopped the Fenugreek. Mix it well and cover with a inverted stain less steel plate by adding one fourth cup of Water over the inverted stainless steel plate. Cook for 5-7 minutes on a slow flame. Remove stain steel plate and add salt, Sugar and French Fries. Mix it well.